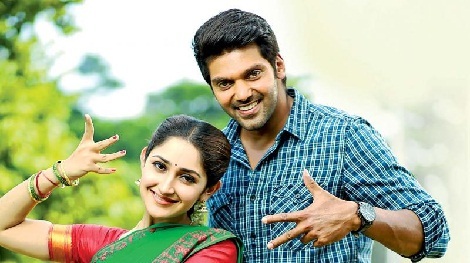 Actor Arya is set to marry Sayeesha, who acted as his heroine in the film Gajinikanth. The wedding will take place in Hyderabad. It has been a trend as far as actor Arya is concerned that most viral news is spread with his relationships with almost every heroine he acted with! These heroines included Nayanthara, Amy Jackson, etc. In this situation, there was information that Arya is in love with Sayeesha, who acted his heroine in the movie ‘Gajinikant’. It was viral even among the cine-industry circles. They did not deny this. Actress Sayeesha is the granddaughter of the yesteryear popular Hindi actors Dilip Kumar and Saira Banu. Sayeesha acted as the heroine in the Hindi movie ‘Shivai’ with Ajay Devgun as the hero. After this, Sayeesha acted in Tamil movies such as ‘Kadaikkutty Singam ‘ (Karthi) and ‘Junga’ (Vijay Sethupathy). When Sayeesha acted as the heroine with Arya for the movie ‘Gajinikanth’ love seems to have developed between the two and there was information they were about to marry. In fact, the wedding is scheduled on 10th March in Hyderabad. Last year, actor Arya participated in a special programme ‘Yenga Veettu Maappillai’ in a reality show in one of the TV channels. It was also talked that one of the participants will be selected towed Arya at the end of the programme. However, Arya did not choose anyone as the programme concluded.